Zanzibar, an island off the coast of Tanzania, is usually reached from Dar es Salaam by hydrofoil, which is a regular service and takes about 2 hours. The capital is Zanzibar Town which is a short taxi ride from the port. Grave Island (also called Chapwani Island) is one of several very small coral islands located a short distance off the coast of Zanzibar and is accessible by privately hired water transport, a journey of 15 to 20 minutes (and usually means getting your feet wet). Take a small boat from Stone Town across to Grave Island. On nearing the island a long low white wall will be visible with steps in the centre. Land near here and climb the steps into the neglected naval cemetery. To the rear and over the boundary wall will be seen the CWGC plot complete with a central memorial to the 24 casualties who have headstones on either side. It should be noted that there are no landing stages and visitors will normally have to wade out to, and in from, the boat. Visitors at low tide will also have to walk 50 metres or more across mud and very slippery rocks. Appropriate dress and beach shoes should be worn. 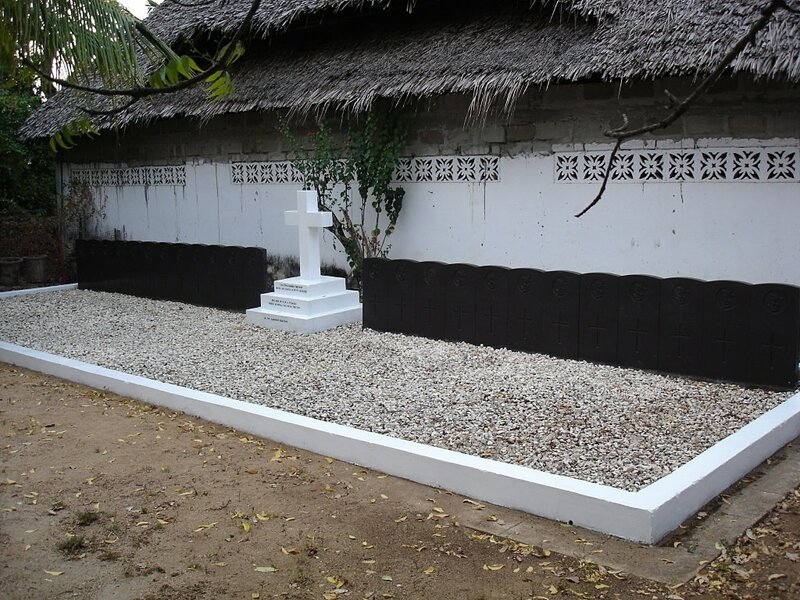 Zanzibar (Grave Island) Cemetery is open every day between 06:00 and 18:00. Grave Island Cemetery is a naval cemetery dating from before the First World War. 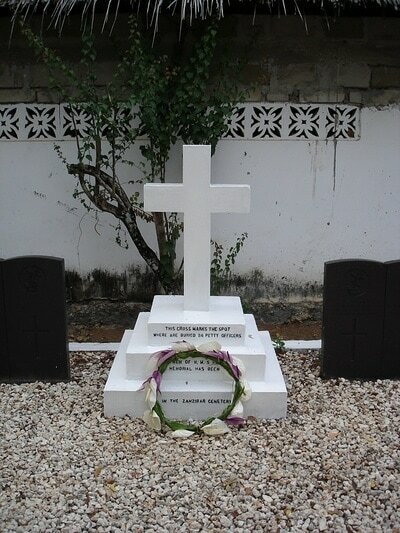 In the extension is the grave of 24 petty officers and men of HMS "Pegasus", killed in action on 20 September 1914 when the ship was sunk by SMS "Konigsberg,"